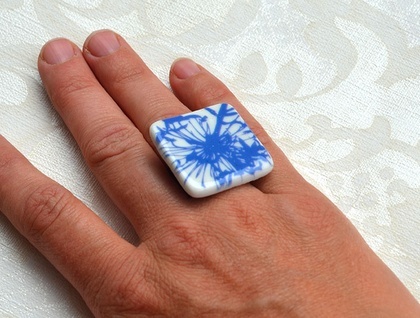 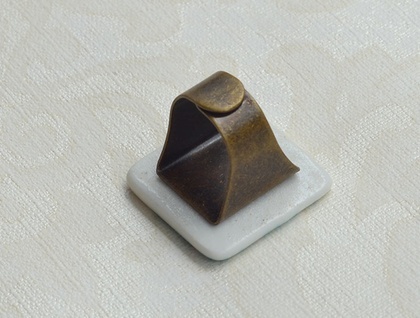 This is a square porcelain piece that has been printed with a floral pattern and glued to a squared brass adjustable ring band. 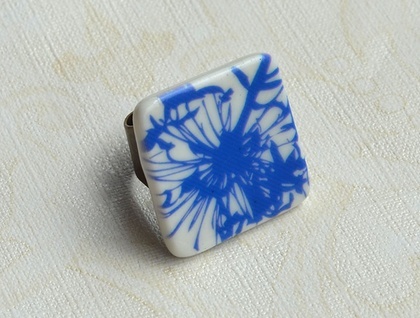 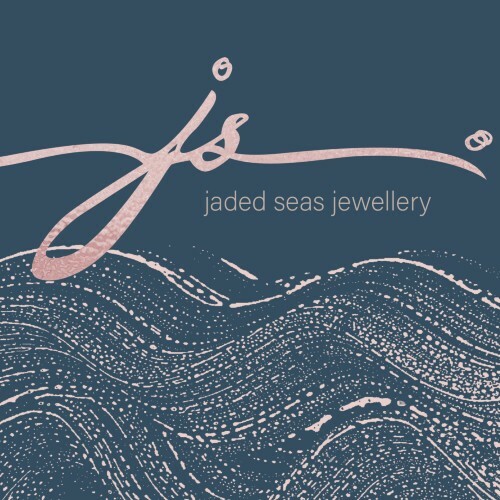 The blue floral ring measures 30mm across. 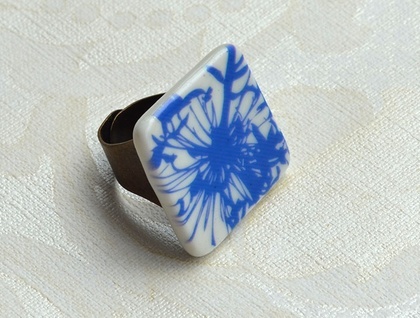 You will receive the exact ring pictured.